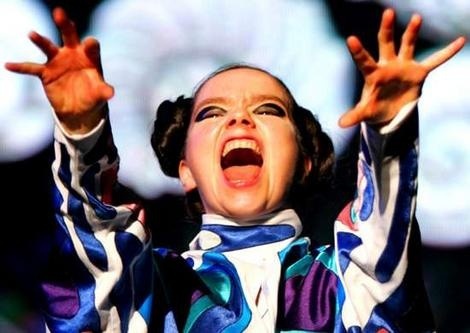 The Quietus | News | Bjork To Save Iceland! Icelandic singer Bjork has launched a plan to rescue the ailing economy of her homeland. NME.com reports that Bjork has partnered with private equity firm Audur to set up a fund that is "looking for investment opportunities in small and early stage businesses." The statement on Audur's website goes on to add that "The fund is intended for investors seeking investment opportunities in new venture creation and the business development of small companies with the objective of catalyzing the recovery of the Icelandic economy." The fund will actually be called BJORK to honour the singer's involvement, and is looking for "companies that create value through the uniqueness of Iceland’s nature and culture". It adds: "Companies must be sustainable, both in terms of financial returns as well as being socially and environmentally responsible. BJÖRK is particularly interested in companies that exploit our well educated human capital and vibrant culture, new knowledge, new technology or a new approach to business."